Oral & IV Sedation Dentistry for Children in Las Vegas NV; Is Conscious Sedation Safe For Your Child? Going to the dentist can be difficult for anyone, but especially children. Children often don’t understand the intrusive procedures being done on them by a stranger in a mask. Some children could have a natural phobia to dentistry or other medical centers. Other children lack the attention span to allow dental treatments as well as others and some children have special needs. No matter the circumstance, there are solutions, and among them is having patients undergo sedation to complete their professional dental care. Conscious sedation is safe for your child! Smile Reef relates the benefits of utilizing sedation dentistry for your children. 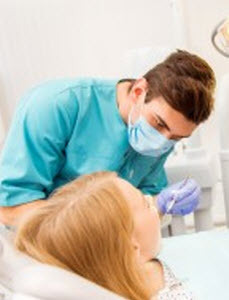 Sedation therapy is a safe and effective method to provide dental treatments for young ones that are overwhelmed and frightened of the prospect of visiting the dentist office. –	Nitrous Oxide. This gas is inhaled just prior to dental treatments. Nitrous oxide is an odorless and tasteless gas that put children in a conscious sedation during their procedures. It is recommended for moderate dental phobias and is a stronger method than oral sedation. There are no lingering side effects, and the gas is worn off within a couple of hours. –	Intravenous Sedation. This method is geared for children with extreme dental phobias or for those in need of intensive dental treatments. Qualified staff members monitor heart rate, and blood pressure through the duration of the procedure and your child is always supervised. An IV imposes a benzodiazepine agent into the bloodstream just before treatment starts. –	Oral Sedatives. Oral sedatives are a prescription recommended for children with high anxiety. They are taken about 45 minutes before their appointment for routine checkups, or single cavity fillings. Children still may need a local anesthetic to avoid pain, and they are fully conscious and aware. The medication takes the edge off their anxiety to be in a relaxed state. 1. Nitrous oxide not only sedates your child, but it also paralyzes the nerve endings relieving pain inflicted during dental procedures. 2. Sedation inadvertently blocks the memory of dental procedures. Over time your child may overcome their fears and will not have to endure sedation for dental treatments. 3. Children with sensitive gag reflexes can have a difficult time undergoing dental procedures. With sedation dentistry, the gag reflex is suppressed, and the dentist can use their tools efficiently. Your child will not be self conscious or embarrassed. 4. Behavioral or emotional disorders present a challenge to children, particularly those with special needs. Children can have a difficult time sitting still or allowing a dentist and their assistants to complete their work. The use of sedation dentistry can help children get the dentist care they need without undo hardships. 5. Sedation dentistry can allow the dentist to complete more dental procedures in the one visit, avoiding excessive appointments to the dentist. At Smile Reef, we have a passion for children and dental care. 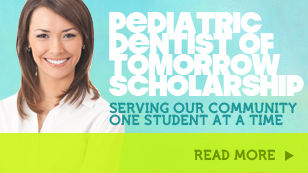 We specialize in pediatric dentistry. When the circumstances are present, our expert staff members can consult with you on using sedation dentistry to help you and your child have a more pleasant dentist experience. Call us today to schedule your appointment!